From the beginnings in 1961 of The Beach Boys, the group that Brian Wilson composed for, to about the mid 1960s, Wilson’s output was incredible, with an ear towards creating songs that layered voices and instruments in a way that still defies logic. But his talent and subsequent popularity came with a price – the instability of Wilson’s sensitive nature made drug use, depression and isolation a by-product of his success. In “Love & Mercy” – the title taken from a 1988 Brian Wilson song – screenwriters Oren Moverman and Michael Alan Lerner and director Bill Pohlad pay homage to the artist that is Brian Wilson, by telling his truth in this operatic film. Actors Paul Dano (younger Brian) and John Cusack (middle-age Brian) portray the songwriter in two crucial eras of his life, and provide a glimpse into how we’re all victims of our own circumstances. The Beach Boys hit the American scene with perfect timing. Their peer audience, one of the largest birth generations in the country’s history, were just coming of age, and the power of their consumerism was focused on the evolution of rock and roll. Brian Wilson and his bandmates – brothers Carl Wilson, Dennis Wilson, cousin Mike Love, and friend Al Jardine – came out of Hawthorne, California, with a surf sound that sold millions of records. But that pop music sound wasn’t satisfying Brian Wilson (Paul Dano). He sought a new light, and in 1965 began work on “Pet Sounds” – his album masterpiece – while the rest of the band toured. 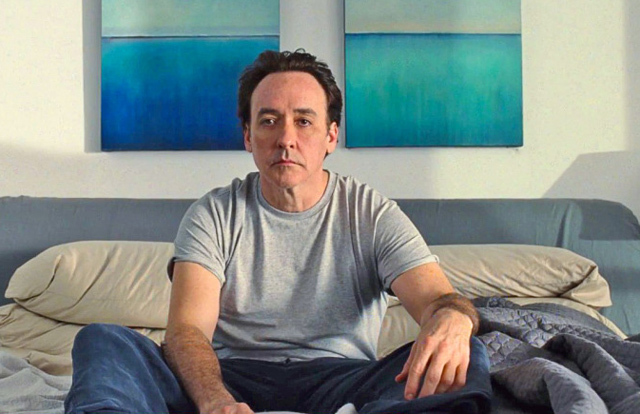 This story coincides with an older Brian Wilson (John Cusack) in the 1980s, under the care of therapist Eugene Landy (Paul Giamatti), drugged and lost under a umbrella of psychosis. It takes a car dealer named Melinda (Elizabeth Banks) to begin the process of redeeming Wilson’s soul.